Associate professor Anna Dornhaus will discuss "Social and Individual Intelligence: Insect Colonies as Models for Organized Societies." 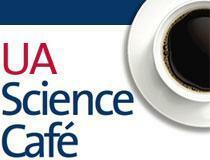 The UA Science Café series brings the community together with a UA scientist in a casual setting. They may be small, but insects offer big lessons for us about working in teams. 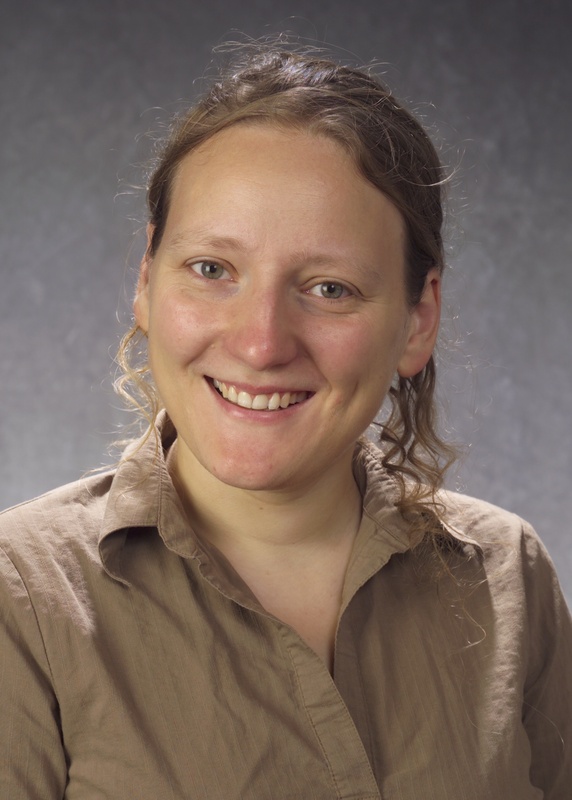 Anna Dornhaus, associate professor in the Department of Ecology and Evolutionary Biology in the College of Science, studies insect colonies to learn about organization in groups and how collective behaviors emerge from the actions and interactions of individuals. Tonight at 6, Dornhaus will present "Social and Individual Intelligence: Insect Colonies as Models for Organized Societies" as part of the College of Science's Science Café series. She took time to preview the discussion with Lo Que Pasa. In a nutshell, what is your upcoming talk about? The colonies of insects such as ants or bees are sophisticated organizations that have evolved over millions of years. I believe we can learn much from them about effective strategies in such areas as communication, coordination and group-level decision-making. I will show that these insect-inspired insights are already being used in engineering, particularly where the performance of complex systems composed of interacting simple parts has to be optimized. At the same time, I will show that individual insects are anything but simple. The cognitive capabilities of bees and ants include complex learning and problem solving, and challenge our views on what purpose our big brains serve. Many people argue there is no such thing as intelligence, at least not one size that fits all. Which "kind" of intelligence does your research explore? I view intelligence as an organismal trait, and certainly one that exists on a continuous scale. It is not a precise scientific term in the sense that there is no one agreed-upon definition; I simply use it in the sense in which most of us understand it, of the ability to solve problems, often by being flexible and not relying on pre-programmed behavior patterns. I am particularly interested in examining what problem-solving strategies different organisms use, whether they are widespread, and what degree of innovation or cognitive capacity they actually require. What are social and individual intelligence, how are they different? Here, when I am speaking about social intelligence, I am referring to the ability to solve problems as a group. Insect colonies, as collective entities, may be able to search large areas, decide among many alternatives, and find the best solutions, all things that an individual member of these societies could perhaps not have achieved. My research centers on this question of how a group can outperform the individuals it is composed of, i.e., what organizational strategies enable such group performance. What can human societies learn from insect societies? Can they learn anything at all, or are the two too fundamentally different? Human and insect societies are fundamentally different in a specific way: The social insects – called 'eusocial' by biologists – are cooperative at heart, whereas all primate societies, including our own, are from an evolutionary standpoint composed of selfish individuals. Therefore, I don't think that insect colonies are direct models for human societies. However, they are excellent models for groups where the question is not how to get everyone to pull in the same direction, but where the question is how to coordinate a group to achieve the best group-level outcome with the least overhead costs. The most obvious application here is in engineering, where power grids, networks of computers or sensors, or even software problem-solving all are based on multiple units working together. But I also see applications in human economics – when thinking of a company as a set of individual units that inherently want to maximize the company's success, but where the type and degree of coordination required to achieve efficiency and robustness in the face of a stochastic environment is not obvious. What would you tell someone who might think, "Ants are not people. I don't care what you find out, it doesn’t apply to humans"? What a sad question. The first thing I would say to that is, actually, come to my talk. I have yet to see anyone who is not moved when learning about the wonders we find in the natural world. To think that everything is about people is to go back to pre-civilization days, where our only interests are about survival, not about beauty and truth, going beyond ourselves to greater things. But if someone is interested in whether there are in fact practical applications to this research, indeed there are, and they are fast expanding. In computer science, distributed algorithms is now a vast field of research with huge practical need, from programmable materials to managing networks. What are some of the most unexpected and striking parallels between social insects and humans? A striking similarity I think is how sophisticated insect cognition, even at the individual level, is. I will mention the use of tools in ants, and complex learning in bees. What is also striking are how insects and humans both have achieved success through sociality and sophisticated social behaviors, particularly division of labor. Ants and bees process and store food and have agriculture, including using fertilizers and pesticides; their societies provide entire habitats for other species, and social insects may outweigh all other animals in some habitats. What is the current focus of your research? What are the big unanswered questions in your field? I think an area of growing importance in the field of understanding distributed algorithms, i.e., how individual behaviors can lead to effective groups, is to better unify the insights from insect science, computing, neuroscience and other fields. All of these research fields deal with complex systems that are in some ways like ant colonies. The colony/network/brain as a whole has to solve problems by having interacting ants/computers/neurons behave in a certain way, using certain types of communication. How similar are the strategies used? Once we understand more broadly which types of organizational strategies are used by these different systems, we will come close to understanding which strategies are best suited to solve which problems. That will provide a gigantic leap forward for engineering, neuroscience and our understanding of how complex systems work. In my research I am collaborating with computer scientists to help achieve this. One particular area of interest is division of labor. When and why is division of labor adaptive, and how is it best achieved? In other words, how do ant workers choose their "job"? This has to be coordinated, flexible and robust. Individuals may benefit from specializing in a certain task, but at the same time the group has to react to changing needs for different types of work. This is a mathematically extremely complex problem, and has applications in many fields. We are examining both the details of these individual decisions and studying the bigger picture by quantifying the performance of different potential solutions using computer simulations. Tell us briefly how you study those questions. We study insects and their group organization strategies in the laboratory, in the field and in the computer using modeling approaches. This means that we often take whole ant colonies into the lab, paint each worker ant with an individual-specific color code, and follow them to see what they are doing, who they interact with, et cetera. But we also monitor colonies in the field, e.g., on Tumamoc Hill, and we experiment using computer simulations with different possible strategies to see what their consequences are. The UA Science Café series brings the community together with a UA scientist in a casual setting to learn about UA research. The Tumamoc Hill lectures are held in the old Desert Laboratory, roughly halfway up Tumamoc Hill. A shuttle is provided for the lectures, which are free and run 6-7:30 p.m. To receive emails about upcoming Science Café lectures, click here.